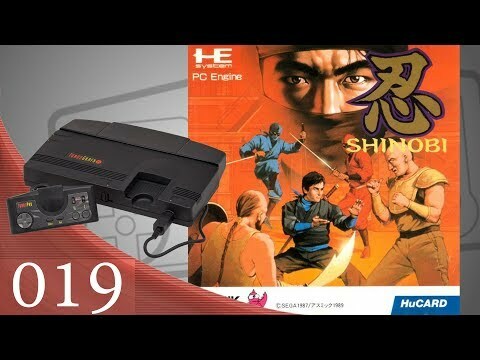 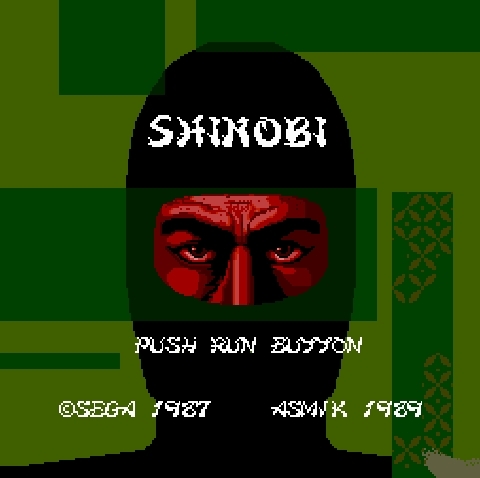 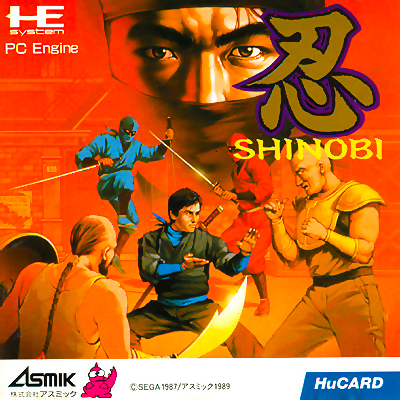 Shinobi is a side scrolling action platformer where players control Joe Musashi as he travels through various areas taking down hoards of enemies. 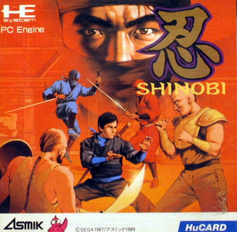 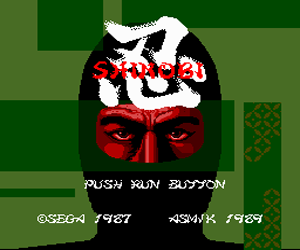 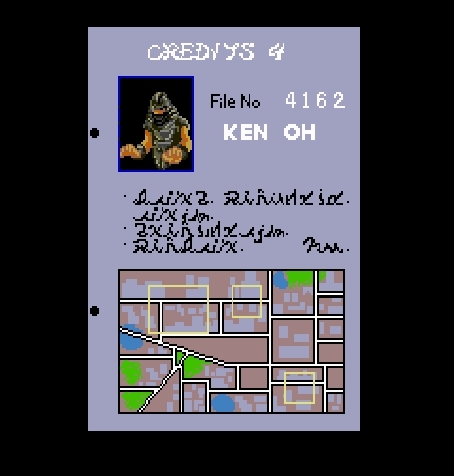 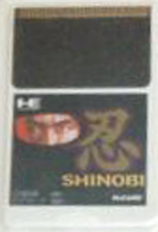 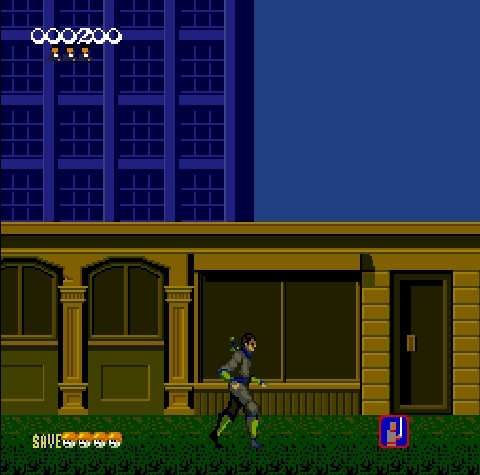 The game is similar to the arcade version of Shinobi except close up attacks and power ups are missing. 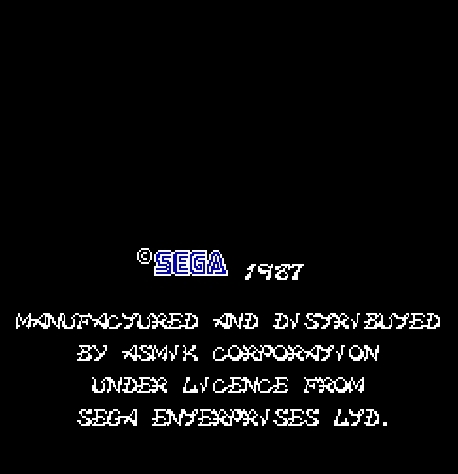 Bonus rounds are not in the game as well. 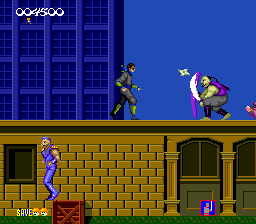 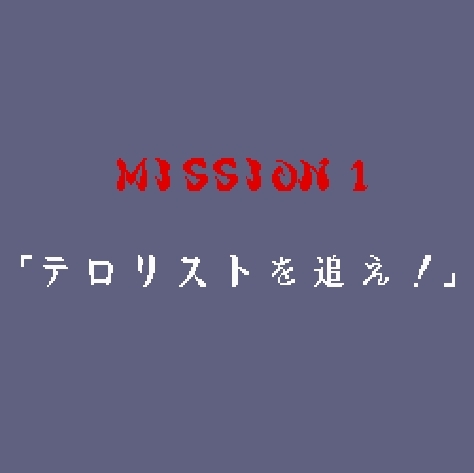 The second level of the arcade version is also removed and the time limit for finishing levels has been removed. 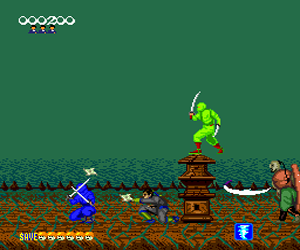 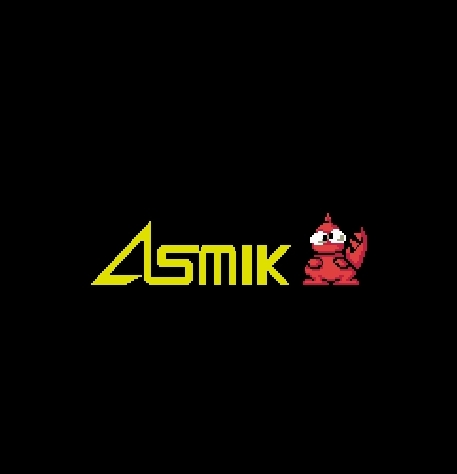 Gamplay consists of throwing shurikens at enemies while traversing the environment to reach the end of the stage.